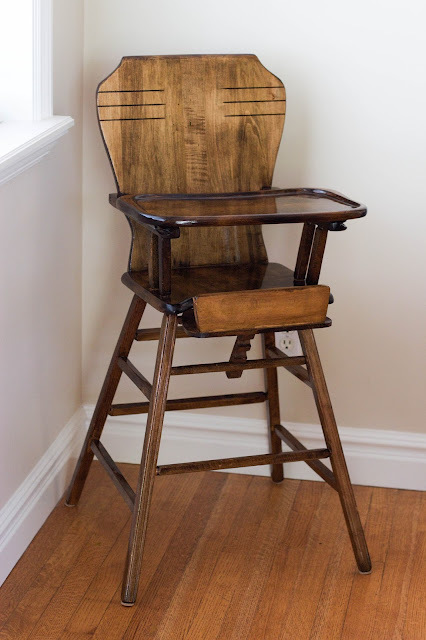 This beautiful and one of a kind highchair has been in my husbands family through generations. Lots of good memories were made in this highchair and generations worth of yummy food was caked onto it. 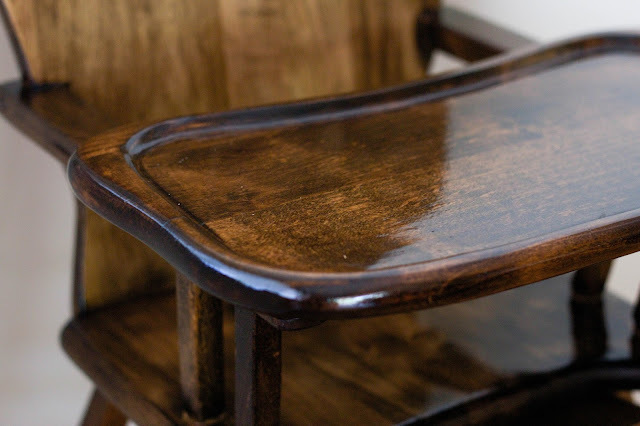 Engineer hubby decided it was time to refinish this chair in memory of his Grandfather who recently passed. 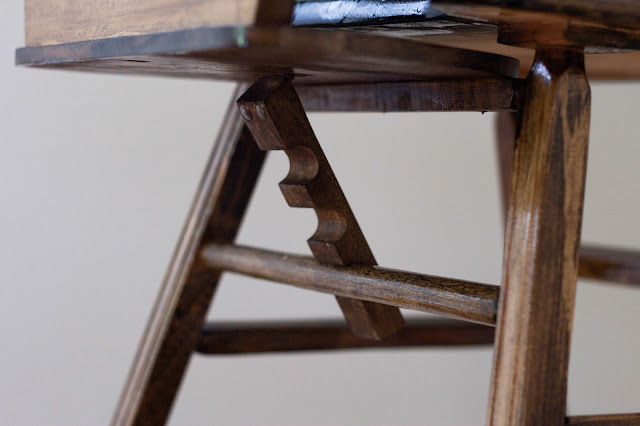 To see full instructions on this refinishing process check out Megan's Wood Refinishing Instructions. Before you begin, read this article and see if you think your antique needs a total refinishing job or if you should take a more conservative approach. 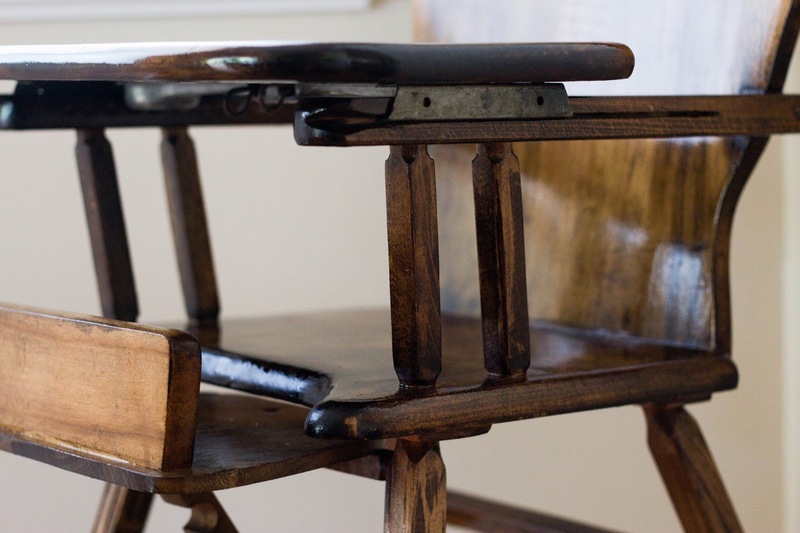 I also like this article on how refinishing antiques can actually increase their value. Here is my before picture. This was taken years ago when we lived in a tiny apartment with our then tiny baby girl. The chair had a cute bunny decal which we couldn't figure out how to preserve, so with my mother-in-laws permission, hubby had to remove it. Hubby took it apart and applied the stripper gel. He then scrapped it off and sanded it. Then he sealed it with 3 coats of polyurethane protective finish. We used oil based products. 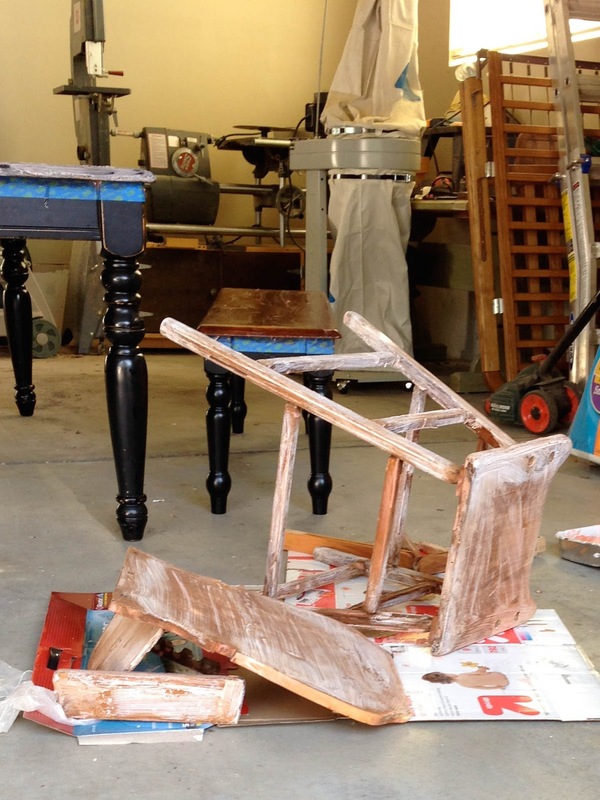 Remember to lightly sand in between coats. Just read the directions on the can and you will be just fine. I just love this chair and how unique it is. Here's to future generations!